I realized last week that I have never shared all of my home paint colors all in one post. I have always shared my colors as we have revamped a room but I never pulled everything together into one complete palette. I always talk about how having an “undertone” color strategy in your home can help make choosing paint colors so much easier . I think by sharing my palette, I can better show why/how this little method works. Over the last few years, I have slowly transitioned my home into a neutral-transitional palette. My home colors were originally very bold warm-toned yellows, golds and red tones and I wanted to calm down the whole home. I was also really limited in working in trendy and fun new colors in fabrics and accessories because all of my walls were so loud and bold with dominate undertones. 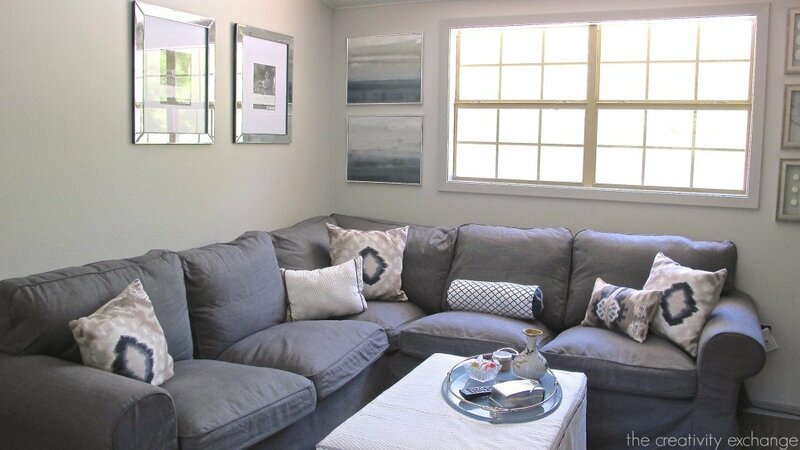 My strategy was to neutralize my wall colors throughout our home over time, so I could have fun with accessories, art and fabrics. Of course, I couldn’t paint every room in my home overnight, so I came up with this strategy and long-range plan to slowly transition over time. I chose neutral-transitional colors, so that the new cooler colors would still blend with old gold tone colors while I was transitioning my home. Neutral -transitional colors are colors with a balanced mix of both warm and cool undertones, so they’ll work with more undertones and colors. The neutral part is the gray undertone. 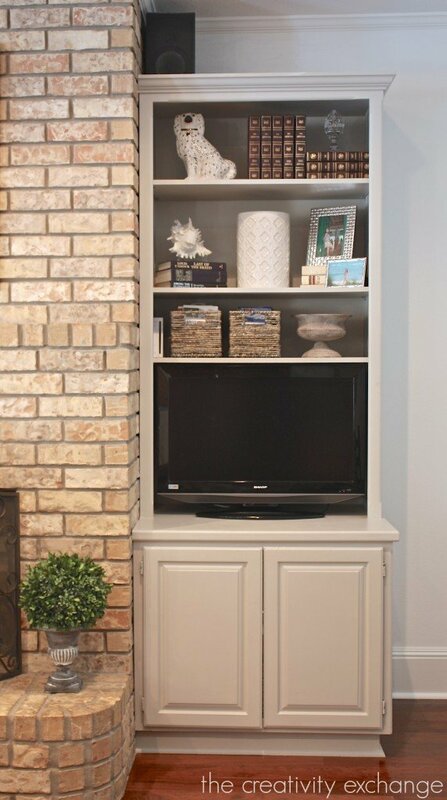 Mindful Gray looks so pretty on trim, doors and built ins and the best part about it is because it’s a neutral transitional, colors just pop next to it. Once I picked out my main staple color (Repose Gray), choosing the rest of my colors throughout my home over the years, were easy because the warm gray in Repose was how I would choose the undertone of a color. 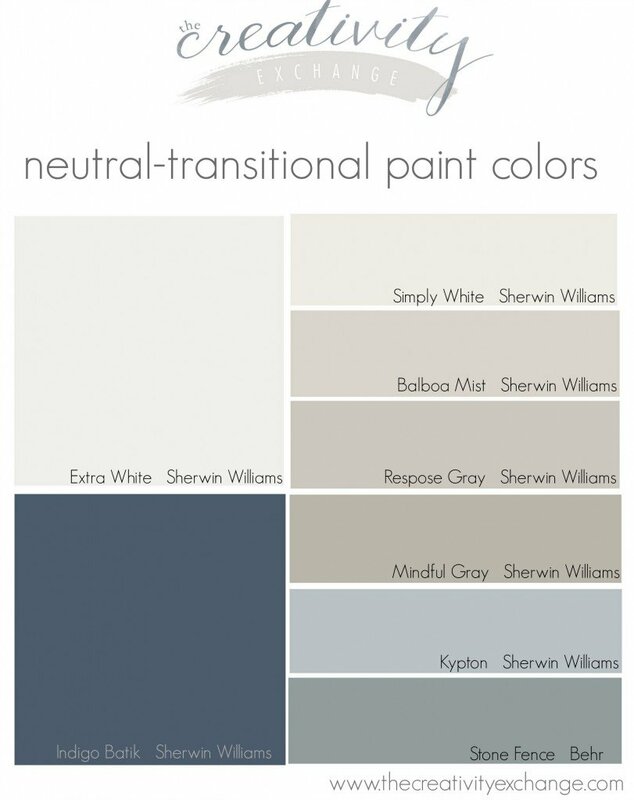 So for instance, when it was time to choose whites in my home (the hardest color to choose), I went right to Simply White and Extra White (Sherwin Williams) because they are whites with a hint of my staple color (Repose Gray), warm gray. The great part about this neutral-transitional strategy is I can now add or switch out whatever color I want in fabrics, accessories and art and it always works. 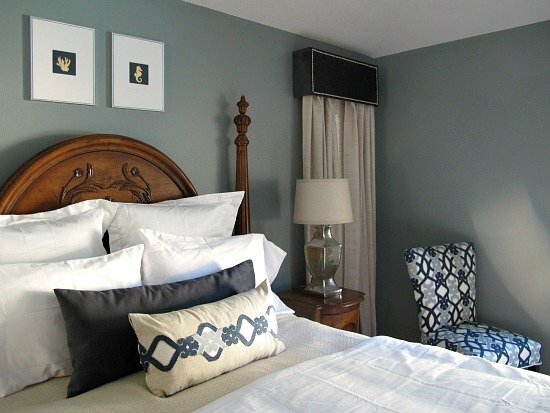 If I want to paint a room a bold color, I will choose a bold with a warm gray undertone. As you can see, you don’t have to change your colors over night by having a undertone strategy. Choosing an undertone is the toughest part about choosing colors and if you pick it once, your done and you always know what undertone to choose in your next color. If you’re looking for more help with how to specifically choose colors, I have a little method that I use to help you zone in on your perfect color here. I love the colors you have chosen. 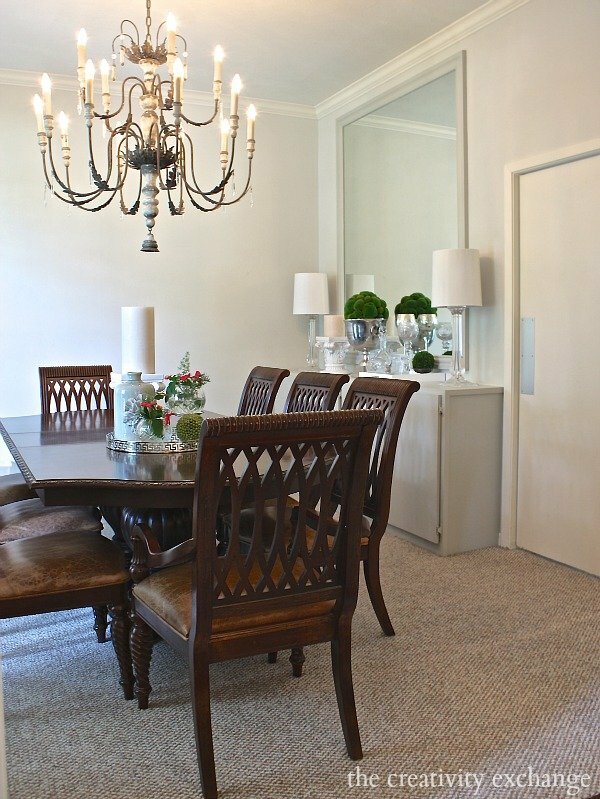 We chose 3 colors to use throughout our home, and it makes changing things up so much easier. I love your very sane approach to whole-house paint colors! I am doing similar in my Florida home paint direction, but with more COLOR values, so I know how complicated the initial process was for you. I love your home and how you are working through each room, yet it is all so cohesive that one never picks up a hint of discourse. WELL done, and I love that you share with all of us! Cyndy, your home is so beautiful!! I love the color scheme and the flow that it all has. You’ve done an amazing job. Thanks for sharing your colors and your strategy! Love all of these colors. 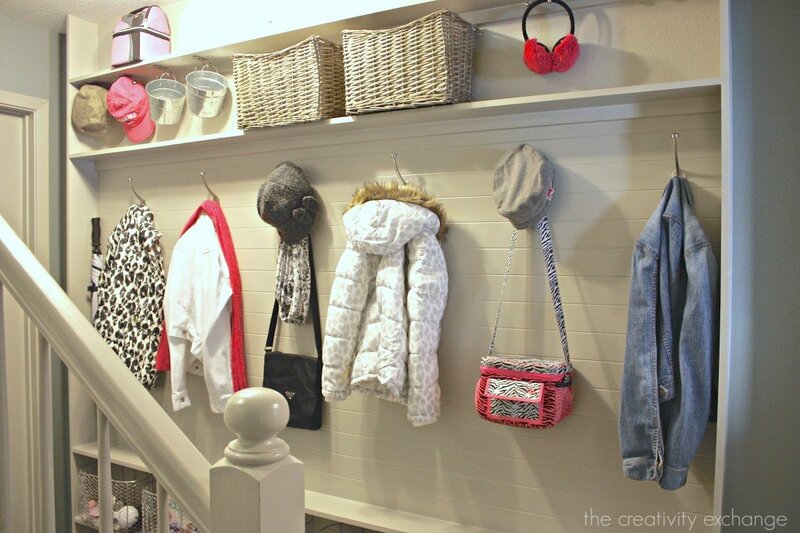 What color did you use for the ceilings and trim? Balboa Mist is a Benjamin Moore color. I also have it my home and LOVE it. Opps!! Thanks so much for catching that Sarah!! Yes, Balboa Mist is a Ben Moore color and I can’t believe that didn’t hit me. Thanks so much for the note Sarah and I agree, I absolutely LOVE it too! Is Balboa Mist an “almost white” gray? I have a darker living room and want to go white, but I’m nervous. I’m tossing around SW Snowbound. Balboa Mist is a very light warm gray. It’s really a very light greige. Do you want your white to lean warm (like a creamy white) or cool? This post with my quick trick for spotting undertones in whites, can really help with the process https://www.thecreativityexchange.com/2014/03/tricks-for-choosing-the-perfect-white-paint-it-monday.htm. Hope this helps Jackie! 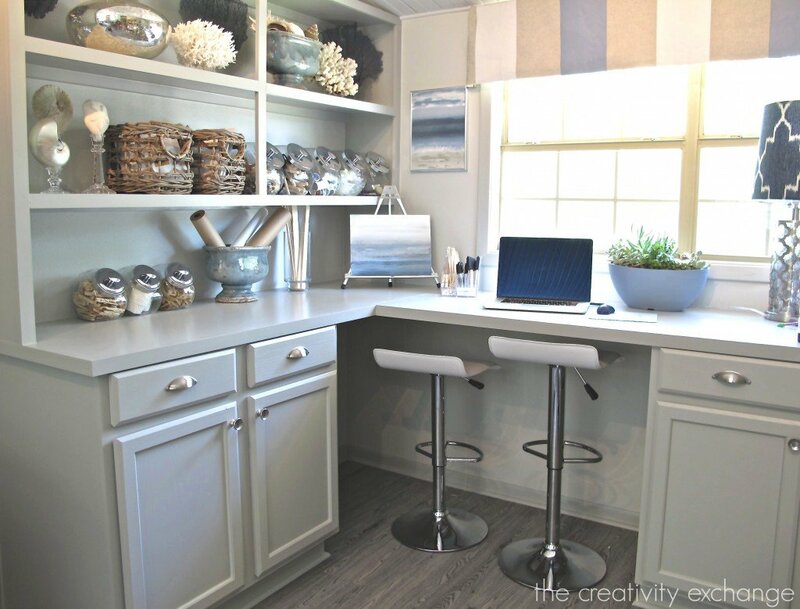 I am painting the cabinets in my mudroom Mindful gray. Do you have any suggestions for a wall color? We, too, have “mindful grey” and “indigo batik” in our home (that we recently sold) – it’s so fun to see how they look the same (and yet different!) in another home! Thanks Cyndy, for such an informative post! I’ve been thinking through a whole-house color strategy, but without a method for choosing the colors, it seemed random (thus I’ve only painted one room!). One challenge we have is that we have stained trim and doors. It’s a medium brown with red undertones. We painted our living room Sea Salt (SW), and it looks more blue than green. If we choose a paint color that’s actually supposed to look blue, like Krypton, would you expect the blue to be intensified by the stained trim? If so, should we have the paint store tone it down by adding extra grey? What about a warm grey like Repose Gray – would you expect the trim to bring out any surprise undertones? Thanks so much for educating me on paint and color theory! I am in the process of building a new house and absolutely love your color palette. The only problem I’m having is choosing the color for my kitchen. My main cabinets will be Navajo white and my island will be black. Countertops will be a white granite with swirls of gray. I don’t really want my kitchen to be blue or gray. I was thinking of some kind of soft grayish green. Do you think that could be incorporated with the surrounding blues and grays? If so, do you have a color suggestion? The master is gorgeous. When you say you did color 50/50 do you mean that you took two paint colors and mixed them together? Can you please tell me what your daughter’s gray-blue bathroom colour is? Thanks! 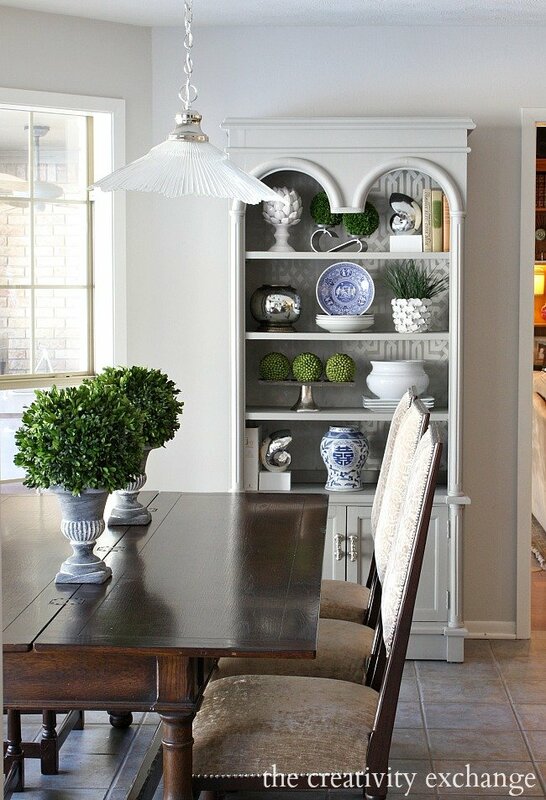 I found Repose Gray for our home from another blog but failed to bookmark it. We went with a 130% mix and have just finished painting our main living space and kitchen. We love it and can’t wait to see what it looks like with new hardwood floors in a few weeks. The paint takes on different looks at different times if day. I will definitely use your tips to chose other color accents in our home as I transition our interior from mostly browns and autumnals to a fresher look. What does 130% mix mean! Thanks for sharing your colors! What paint colors did you use for trim and ceilings? I use Dover White by Sherwin Williams on my trim and I add 50% bright ceiling white to the lightest white on the paint strip my color is on. So, in a room where I use Repose Gray (SW), the lightest white on the Repose paint strip is Eider White and I have the guys mix in 50% bright ceiling white with the Eider. That way, the undertone blends beautifully and I still have that bright ceiling reflectivity in the mix. Hope that helps and thanks for your note Andrea! What color did you use in your daughter’s bedroom?! I’m looking for a blue/grey to use as an accent wall in my living room with a 22 foot Celine and just cannot find the right color. I have tequila walls (Sandy color) and dark mixed hardwoods. I’d love your insight and can send you pics via email?! What color did you use in your daughters bathroom in this post?! I am looking for a similar blue/grey in my two-story living room to accent tequila walls all around. I also have mixed dark hardwoods. Having a rough time finding a great blue color. I could use any help you can offer me! I can send you pics via email if needed! I love all your colors! So beautiful. What color did you use for your daughters bathroom? What color did you use in your daughters bathroom? 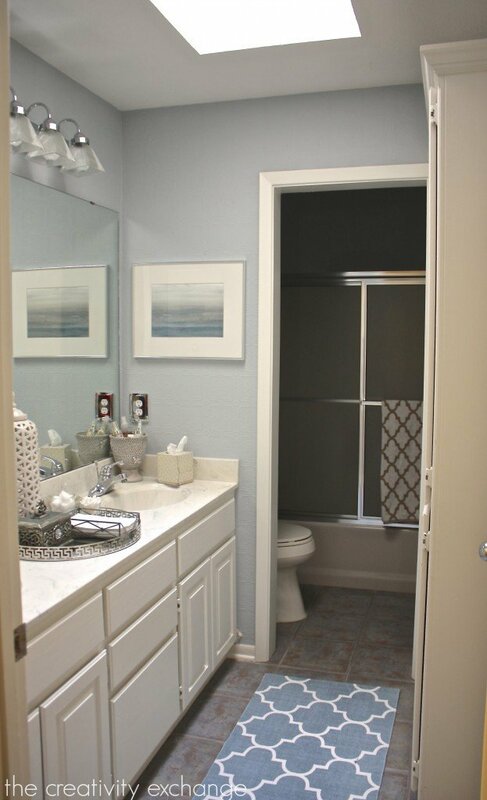 What color did you use in your master bathroom? Did you mix of the manufacturer of Balboa Mist and Simply White or does SW have colors of the same name as the Ben Moore colors? What color is your daughters bathroom? What color did you use in your daughter’s bedroom?! I am also looking for blue/grey colour. Thanks! I’m loving the 50/50 Berh Rhino and stone fence. I am in Australia where this brand is not available. Could anyone lead me in the right direction to get the color mix to get it made up with another brand. The daughters bathroom looks like Krypton, SW. I just chose it for my exterior but am very nervous about as I can’t find any pictures where this color was used. I want a crisp clean light gray & initially chose Icelandic, but it was too baby blues& my painter said it was a modern color palette, my house is a Bungeliw with few Craftsman features. It has been basically a Cain wrapped in dark brown Cypress. I hated it! So going outside my comfort zone, I chose Krypton & it is beautiful, but darkens in natural light. It’s black based. My problem, after a total remodel, is that I still have a hunter green metal roof. NOTHING (gray) looks good with it so I guess I’ll see tomorrow when the painter shows up. Any suggestions would be greatly appreciated!! I enjoyed your article, idea and photos. You have taken me out of my safety zone and I am keen to try your Colours. Thank you for sharing your knowledge. As a beginner I am very grateful. I hope to work around the problem that we cannot get Sherwin Williams paints here in Australia. Just purchased a home that only needs a little makeovers in the kitchen. I have pops of red in my counter appliances. The floors are a dark woood. So, I went with the repose gray for cabinet cupbowould. The wall space is rather small, and am thinking Krypton or Serious Gray. Would you possibly have other suggestions? The flow from living/dining is all neural ivory.